In February, Justin Kelley was among the workers at about 1,000 Walmarts who learned that their jobs as people greeters would be eliminated. Like Kelley, many of them were workers with disabilities who found themselves in limbo. One weekend in February, Justin Kelley, 33, made the biggest financial commitment of his life. 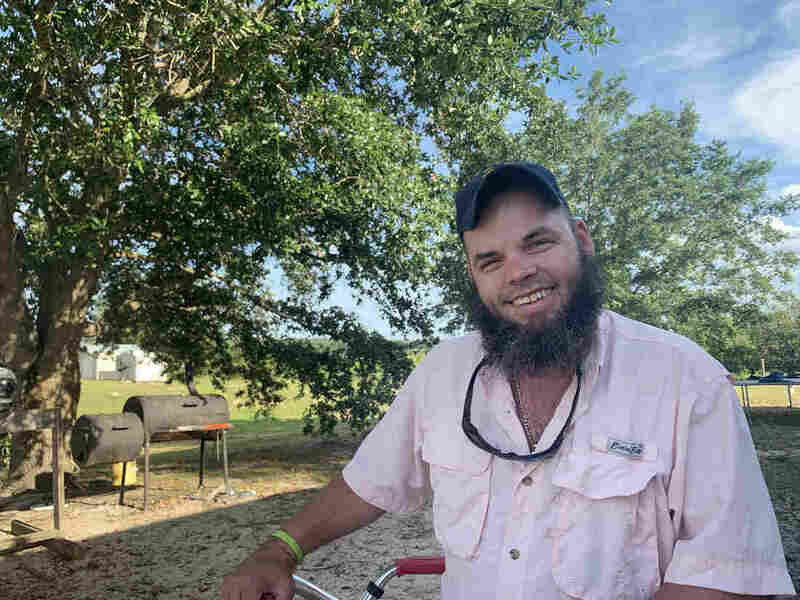 He paid a friend to start custom-building an airboat. He had dreamed of owning one since an early age. But two days after putting down money for the boat, Kelley found out his job was in jeopardy. 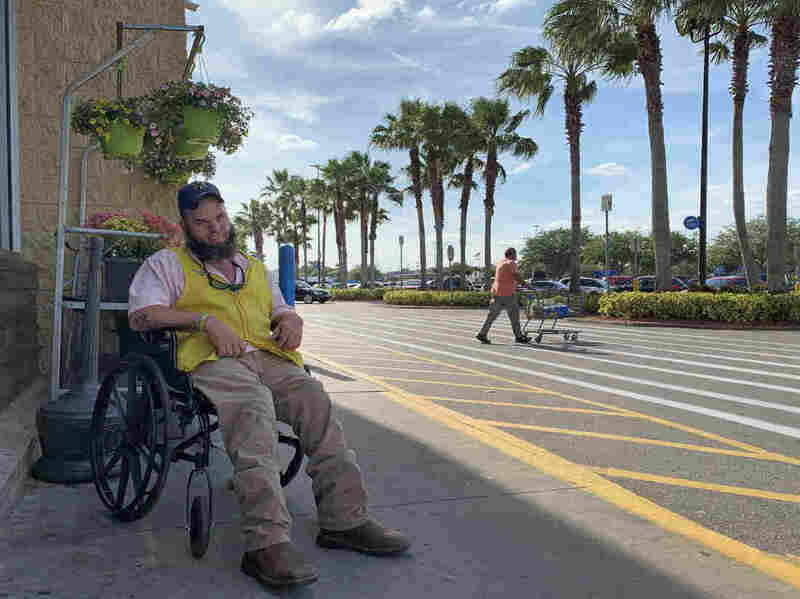 He was one of the greeters at about 1,000 Walmart stores who were told their positions would be eliminated in late April. That gave them about 60 days to get reassigned or take severance and leave. Since 2016, Walmart has been replacing greeters with “hosts,” more focused on security and assisting shoppers. But for current greeters like Kelley to qualify for the new front-door jobs, they now must meet new criteria. That includes, for example, lifting 25 pounds or climbing a ladder. One, two, three — Kelley counts more than a half-dozen surgery scars on his legs — hamstring, ankle, “they shattered my shin to try to straighten that foot,” he says, matter-of-factly. He can lift and climb, if he has to, in a private setting, adjusting his body. But doing this regularly and safely for work? Kelley doesn’t qualify. For me to say that I work for a company [where] I got a 401(k), I got a chance to get insurance, that meant a lot to me. I take a lot of pride in that. As Kelley sits on his porch, it’s Day 49 of his wait for a call from HR. He says he has a great manager, who is fighting to find him a new position. But Kelley also has someone who wants to buy his boat. Kelley’s predicament will sound familiar to other greeters with disabilities. In recent weeks, a dozen workers and their families shared similar accounts — of uncertainty, hope and the anxiety of waiting for a corporate decision. Kelley doesn’t know that as he speaks, his fate has actually already been decided. He will know it in a matter of hours. Airboating is big in Central Florida, where citrus groves are webbed with lakes and swamps. These boats are flat, with a giant propeller in the back and usually an airplane engine. They can run on shallow water and even patches of dry land in the marshes. Growing up, Kelley says, he often felt that people thought his parents were mean for how they pushed him to be self-sufficient. Like if you can’t climb into a truck yourself, you can’t go on a trip. Now, he says, he thanks them for that all the time. “Everything I’ve worked for is at a standstill,” Kelley said. In fact, he spends so much time outdoors and on the town, he says he goes through walkers “like they’re going out of style” — three times faster than he is prescribed new ones. Today, he is climbing into the passenger seat of a sedan in his sandy driveway. A friend is driving him to work — Kelley’s Walmart is almost 9 miles away, and Kelley doesn’t live near public transportation. So he stitches together rides from friends and $12 Ubers, getting ready hours in advance in case a ride falls through and the closest Uber is 20 minutes away. “It’s not like my life goal [is] to live off a disability check. I don’t want housing; I don’t want free medical stuff. I want to be able to say I paid for all that myself,” Kelley says. His dream is classic: stable work, a house, wife and kids, a couple of acres with a barn for his boat. After some false starts at other jobs after high school, Kelley spent a year looking for work before getting hired at Walmart. He has been there nine years. At the store where he works, every other shopper seems to know Kelley by name. On the way in, people stop to chat about fishing, weekend plans, kids and of course boats. On the way out, they have their receipts ready for Kelley to check. Shoppers keep greeting him even after he clocks out and waits outside for an Uber home. Every day he’s in, Kelley asks his bosses if they have heard about his job from corporate. On most days, they haven’t. But on Day 49 of his wait, they do have news. And it’s good. Walmart is reassigning Kelley. Like many other greeters with disabilities, Kelley will now help shoppers in the self-checkout area. Kelley signed his offer on the spot. Kelley is excited for stability. Though he is also already worrying about lining up rides for a new schedule. But he is grateful. New York (CNN Business) Unemployment is historically low, so McDonald’s is targeting a new employee demographic: Older Americans. The fast food chain said on Wednesday that it is partnering with AARP, a nonprofit interest group for aging Americans, to help attract workers who are aged fifty or above. That demographic makes up just 11% of the workforce at corporate-owned stores, according to the company. McDonald’s (MCD) hopes that the new recruitment tactic will attract workers for breakfast and lunch shifts, in particular. Now, McDonald’s tends to attract younger workers who either can’t work mornings because of school, or prefer not to start early in the day. Hiring older workers is also a way to attract talent as US unemployment, now at 3.8%, hovers near all-time lows. McDonald’s has posted positions to its AARP site. The AARP Foundation is helping match candidates with open jobs at McDonald’s through its Senior Community Service Employment Program, which helps low-income, unemployed people aged 55 and older find work, and through its Back to Work 50+, which also helps older job seekers. The process is being piloted in Florida, Illinois, Indiana, Missouri and North Carolina, with a national rollout planned for this summer. McDonald’s would like to fill 250,000 jobs. For the company, the program is also a way to boost diversity, said Melissa Kersey, McDonald’s US Chief People Officer. With the labor market so tight, fast food chains have been getting creative in their attempts to attract workers. Earlier this month, Taco Bell announced that it would host nearly 600 “hiring parties” with free food, swag and Instagram-friendly photo props to help fill thousands of open jobs. The parties are planned for this week. Companies may also be particularly interested in hiring older workers. Susan Weinstock, vice president of financial resiliency programming at AARP, told CNN Business that about 1,000 companies including McDonald’s have signed AARP’s employer pledge program, which requires signatories to publicly state that they “recognize the value of experienced workers” and “recruit across diverse age groups.” Major employers like Google (GOOGL), CVS (CVS), Macy’s (M) and others have signed the pledge. McDonald’s plans to encourage members of other demographics to apply using different recruitment tactics moving forward, Kersey said. Verizon has partnered with popular streaming apps before. Some of its unlimited mobile data plans include a free Apple Music membership. And Fios customers can redeem a year of free Netflix right now, for example — if they’ll sign a two-year agreement. The extremely small number of people with Verizon 5G Home broadband have already been able to receive YouTube TV as part of their service. YouTube TV just hiked its base subscription price to $50 with the addition of Discovery networks, and the move has left some users frustrated and wondering if it’s still worth keeping over traditional cable. Having more exposure via Verizon might help counteract any cancellations over the more expensive monthly fee. And it gives Verizon an answer to the DirecTV Now and WatchTV services owned and promoted by rival AT&T.